In September of 2012, I attended an annual women’s retreat called Frauenfreizeit, literally translated – Women’s Free Time. 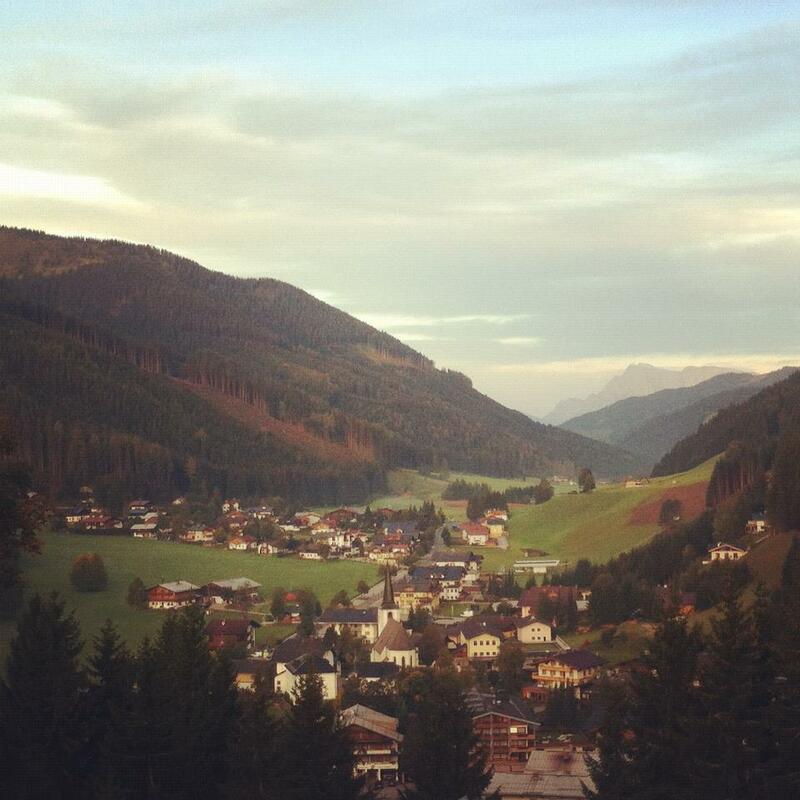 Frauenfreizeit takes place in the gorgeous Alps of Austria in the lusciously green town of Filzmoos. The mountain air is fresh, the rolling hills are freckled with horses and dairy cows, and the occasional yodel can be heard from a man giving tours in the town – complete with horse and buggy. In the center of the town is a tiny fairytale-like garden filled with animals – ponies, a white donkey, bunnies, birds, ducks and ducklings, and a small cat or two. In the middle of this garden lies a quaint pond, the stillness disturbed by a rickety wooden watermill that spills out amounts of water into it over and over. When the sun shines down on this little piece of Heaven, it feels as though Snow White should jump out any moment with her high-pitched notes and singalong blue birds. It really is a perfect place, especially when it can be enjoyed over a warm cup of coffee. 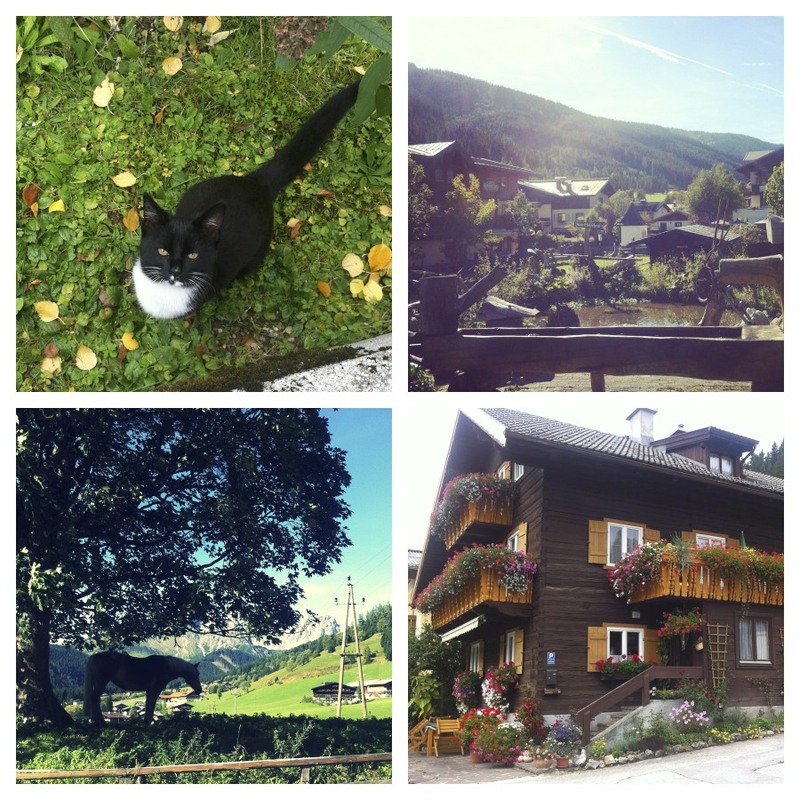 Up a few hills is the hotel – a typical Austrian style building with flowers pouring over every windowsill. My room came with a small balcony, and from there I could look over the town and face the enormous mountains that stand on either side of it. For meals, the ladies and I were served gourmet breakfasts, lunches, and dinners around candlelit tables next to a wall of windows for mountain-gazing. Everything felt, looked, and seemed perfect. I needed this after all; I needed free time. We had only moved to Vienna just months before, and our summer consisted of intensive language classes, culture adjustment, apartment hunting (no small feat), and relationship building. I loved the challenge of our first summer in Vienna, but it was hard, and now I finally had a chance to breathe and relax and enjoy hours of free time in a mountainous paradise. The women’s retreat attendees consisted of 14 older ladies (mostly cute white-haired grandmas), one girl around my age, and myself. A few of us were from Austria, a few from Germany, and a few from Switzerland. Even though there were only 3 countries represented, the dialects were from all over the place and were sometimes impossible to understand (Swiss-Deutsch is the most difficult). I was intimidated by it, being a German-newbie at the time, but figured I could hold my own without a problem. The first morning as I was on my way to join the womenfolk for class, the girl who’s around my age, Krista, pulled me aside and said, “Hey, if you get overwhelmed in there and need to step outside, it’s totally okay. No one will judge you. I’ve been in your place and had to leave class a few times last year for a breather and everyone understood. Just know you’re in a safe place here.” I was touched by her desire to give me help and advice, but at the same time, I was puzzled. I had attended close to 4 months of German-speaking church already, AND my German was good enough to allow me to skip a level in class. I was a Level A2.2 speaker! That’s high enough to get by, right? How I Met Your Mother and The Big Bang Theory are just as funny in German as they are in English. Austrian soap operas are just as strange as American soap operas. The makers of 7th Heaven should have produced the show entirely in dubbed-over German so we could have all been spared its never-ending drama. Why have I waited this long to take a Eucalyptus bubble bath? On the last day of the Frauenfreizeit, I emerged from my room to sing some last songs and watch the annual Frauen Talent Show. 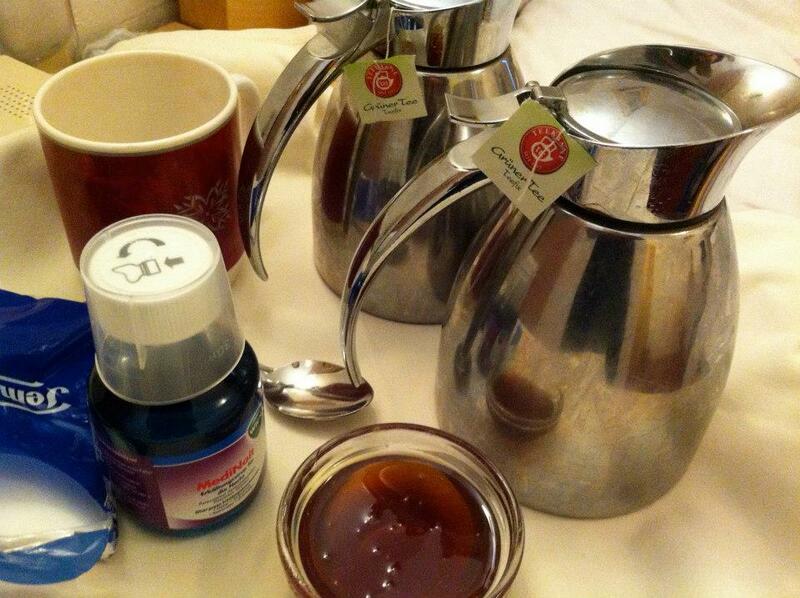 I returned home still sick and still “in shock” but was on the path to healing. Now, almost a year later, I’m happy to report I haven’t been sick one time since last September at the hands of Culture Shock! (I was going to say that I haven’t been sick at all since last September, but then I got sick this weekend and ruined my record.) That’s not to say Culture Shock has never visited me again, but at least it hasn’t given me anymore fevers.